In suburban Texas, four friends muck about in their garages trying to invent something that will make them some money. When one of their primer boxes begins to have a very real personal and almost Twilight Zone effect, the two men try to grasp the potentials of commerce and outré science. 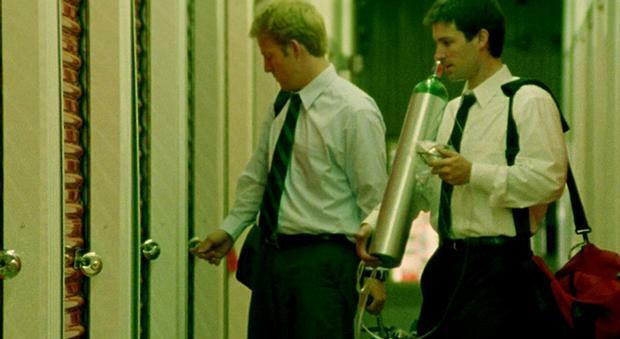 Primer is a unique and original work, which in all its challenging oddness bears witness to the birth of a major talent in writer/director Carruth. In this ingenious low-budget indie drama, two entrepreneurial engineers accidentally discover of a means of time travel. Winner of the Grand Jury Prize at the 2004 Sundance Film Festival.